It’s 4:00 and my phone always rings because there is an agent in a house, in some small town, sitting with a client who has some sort of health condition. And, more times than I would like to admit, the agent is not prepared for the discussion. 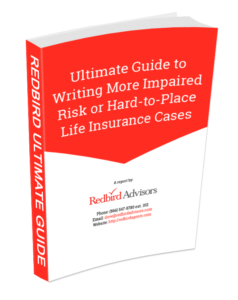 Many life insurance producers work their entire career selling life insurance without truly understanding the conditions that underwriters must review in order to make an approval. Ding Ding Ding. Read on because there is some important information that will help set you apart and provide a strong customer experience to your clients. Knowing the basics of the common health conditions will help you immensely when sitting at the kitchen table. Not only will it save you time, it will build confidence with your clients that you are the agent they should be working with. A little front end research will help you eliminate the chances of getting your client declined for life insurance so it’s not on their record moving forward. Let’s be very clear, I’m not saying you need to be an expert on these conditions, but I do believe you need to know enough to properly field underwrite your clients. Knowing these nine health conditions could easily be the difference between your client being approved or declined for life insurance. Hypertension. Commonly known as high blood pressure. The Mayo Clinic defines high blood pressure as “a common condition in which the force of the blood against your artery walls is high enough that it may eventually cause health problems, such as heart disease”. There are many ways people develop hypertension, such as obesity, diabetes and family history. Chronic Obstructive Pulmonary Disorder (COPD). COPD refers to a group of lung diseases that block airflow and make breathing difficult. The presence of emphysema and chronic bronchitis should be a red flag for agents as these two common conditions are a recipe for COPD. From the Mayo Clinic: “Chronic bronchitis is an inflammation of the lining of the bronchial tubes, which carry air to and from your lungs. Emphysema occurs when the air sacs (alveoli) at the end of the smallest air passages (bronchioles) in the lungs are gradually destroyed.” COPD is most commonly caused by tobacco use and exposure to dust, smoke or fumes. Diabetes. 2010 CDC data suggests Diabetes is the 7th leading cause of death in the United States. Diabetes is a disease which affects how the body uses blood sugar. The body either doesn’t produce insulin at all or not enough. There are two types of chronic diabetes: type 1 and type 2. Causes for each type are different as well as are the long-term treatments. Treatments include oral medication or insulin shots. Heart Disease. Heart disease, also known as cardiovascular disease, is a series of conditions that affect the heart’s function. These conditions include, but are not limited to, coronary artery disease, heart arrhythmias, valve issues, and congenital heart defects. These conditions involve narrow or blocked blood vessels which can lead to heart attack, chest pain, or stroke. Congestive Heart Failure. There is much confusion about this condition. Heart failure does not mean the heart completely ceases beating; rather, the heart’s pumping capacity has been greatly weakened. One major complication with heart failure is when the kidneys respond to the heart’s decreasing ability to pump oxygen and nutrients through the body. This response can create a build-up of water and salt in the arms, legs, ankles, lungs, and other organs, therefore, congesting the body. Neuropathy. Neuropathy is a condition caused by nerve damage which results in weakness, numbness, and pain, commonly located in your hands and feet. Many people describe the pain of neuropathy as tingling, burning, or loss of feeling. Neuropathy symptoms can improve over time if the condition is caused by an underlying treatable condition such as diabetes. Angina. This is a form of chest pain caused by a reduction of blood flow to the heart and is a common symptom of coronary artery disease. As with many heart conditions, lifestyle changes can drastically improve the symptoms. Angina is described by many as heaviness, tightness, or pressure in the chest. Kidney Disease. Kidney disease refers to the ongoing loss of kidney function. Kidneys filter waste and excess fluids from your blood and are then excreted through urine. When kidney disease reaches critical stages, fluid, electrolytes, and wastes build up in your body. Kidney disease can result in end-stage kidney failure, which requires dialysis or transplant. Depression. In simple terms, depression is a disorder which causes feelings of sadness, emptiness or unhappiness. Depression affects how you feel, think, behave, and can lead to physical and emotional problems. There can be many side effects and forms of depression which lead to various types of short or long term treatment. Not knowing the basics of these conditions significantly increases the chances the client will be declined. 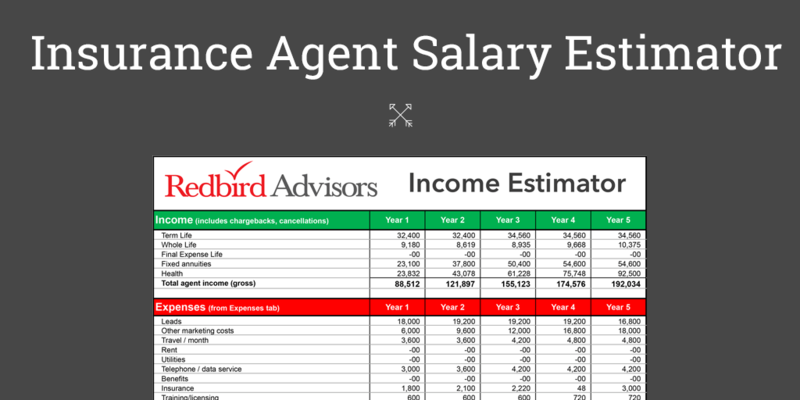 When in doubt, check with an underwriter or call someone on the Redbird team. Almost every carrier will let you access underwriters when you’re working with complex client health issues. We’ve all seen the applications that specifically ask: “Have you been turned down for life insurance in the last 12 months?” You do not want your clients to answer yes to that question. If you would like more information about getting trained on these conditions or if you have a case you would like to discuss, please contact me. If you’d like to stay in the Redbird loop please make sure to subscribe to our weekly newsletter, and sign up for our next web training session.